Many years ago, the Star Elders say that this special time on Earth was an "E" ticket ride. They are referring to the old ticketing process at Disney Land. But what they mean is . . . This time is the most supreme and unparalleled roller-coaster ride in the universe. We are indisputability riding the peaks and valleys of this enormous wave of quantum evolution. The yo-yo energy makes us feel like we are coming and going all at the same time. It feels like the energy flat lines and then bursts forth into the extreme. We are feeling drained and then so charged up that we can't sleep. There seems to be no in-between moments anymore. Inner pressure and emotions are running high as we grapple with the increasing speed of the transformation, and with it, our evolution. This evolution revolution is so tangible and thick in the atmosphere that we could slice it with a knife. We hold our breath for the next big wave... and it is coming… It is exciting and a bit scary too! The Star Elders also say that this is a rare and uniquely, powerful time for the evolution of the SOUL! This is why the planet is so crowded. Everyone wants tickets to this workshop! 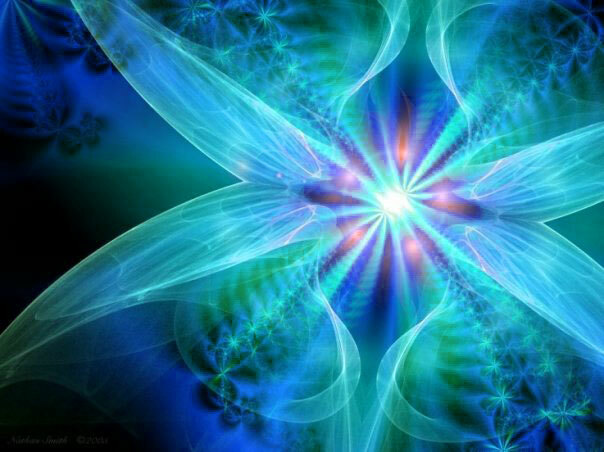 We are learning to create with limitless, omni-directional, creative energy. We are becoming aware of this because we are on the brink of leaving linear 3D time and moving into spiral cosmic time . . . which means we will learn to create spherically! The Star Elders joke with me and say "Our learning curve just got bigger." In spite of feeling out of control, the Star Elders keep saying, over and over, for us to KEEP MOVING. Don't stall out because there are too many options to choose from. Just keep moving. This is not a time to curl up and hunker down and think you can wait out this wave. It does not work this way anymore. You need to learn to surf this wave of energy, and you can't do this by sitting still. Movement will help you integrate this concentrated and multiplying energy. Ultimately, it will become more comfortable to be unhinged from the 3D thus allowing us to be more in alignment with spherical time. The Star Elders say to keep our minds open to the matrix of options ahead of us and to take action. Remember, your mind will want to do what it already understands. So watch out for the "head trap" we all have. Remember that the right option for you might be something brand new and maybe not be very practical within our old mind set. The mind loves practicality. It is safe. But we do not evolve without taking risks. We will not progress if we don't take a leap into unknown lands. What goes around will come around again. So it doesn't really matter what you choose, because the universe is self-justifying. You will arrive just where you need to be. The matrix always goes back to center. So don't get too caught up in the details . . . keep your eyes of the big picture and leap. The energy of sacred sites have been preparing us for decades for this time, and that is why we see so many people are called to travel. The sacred sites of the Maya lands are designed predominantly for us learning about spherical time and multi-dimensionality. They were the experts in time / space shifting. Uxmal, in the Yucatan, is one of the best sites to learn about spherical time and be unhinged from 3D. It has a mystical quality about it that does not seem real even while standing right in front of it. Labna and Kabah, also in the Yucatan, both have powerful dimensional doorways that offer a homeopathic inoculation with a frequency that teaches us to shift from one reality to another. The sacred sites in the Yucatan have been waking up and reopening their energies during the last three to four years. We have witnessed this personally. This area of the world is blasting transformational energies now for the benefit of humanity's evolution. We expect these energies in these Maya sites to escalate quickly now as we near the end of this cycle, as we prepare to leap into a new world. We (all those reading this) are so lucky that we have had time to prepare for this time. Many in the world have been keeping this 3D dimension going and are starting to buy into the fear. We can see this when we turn on the news this last week. It is our job to hold the space of this KNOWING that it will be OK . . . and transmit this KNOWING across the Earth daily, minute by minute, by our thoughts and actions. Remember, we are all a part of each other. How we serve ourselves is how we serve everyone. How we serve everyone is how we serve ourselves. This is spherical service. The Maya call this action . . . "In Lak'ech Ala K'in." This message is my loving service to you!